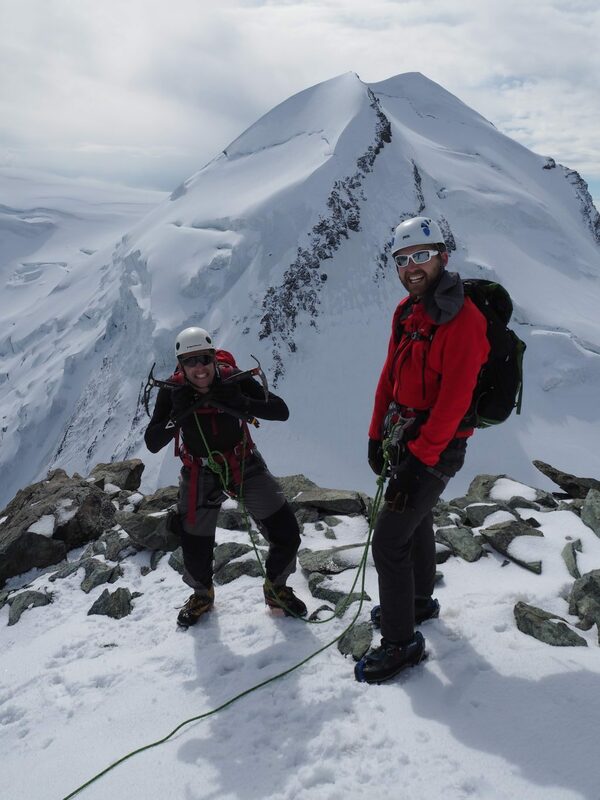 Pollux is a bit of a snow bump on the ridge when viewd from Zermatt, but the mountain offers several short and accessible routes and from the summit there is a magnificent panorama of the surrounding giants. 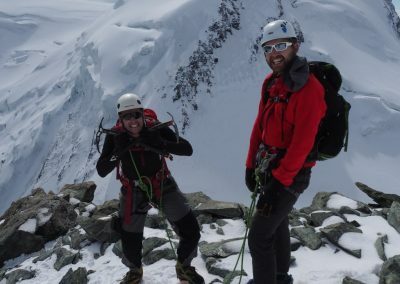 The south-west ridge of pollux is the normal route, and offers a varied climb including some scrambling, a harder pitch (complete with fixed chains to pull on) followed by a snow arete to the summit. It can be a bit crowded on summer days, due to the bottle neck nature of the chains, and this can add to the timings listed below. For fast teams in good conditions it is possible to make a climb of both Castor and Pollux in a single day, especially if using the Guide d'Ayas refugio rather than rushing back to the lift. 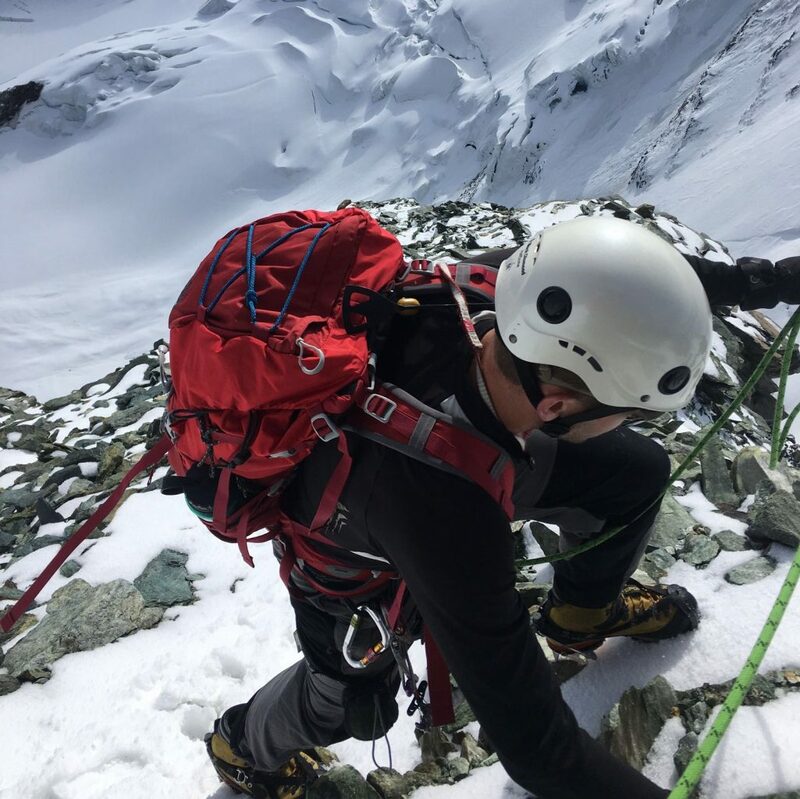 350m ascent from Klien Matterhorn lift. Klien Matterhorn lift accessed from Zermatt, or Guide d'Ayas refugio. Normally Mid June to end of September, but conditions vary every season. 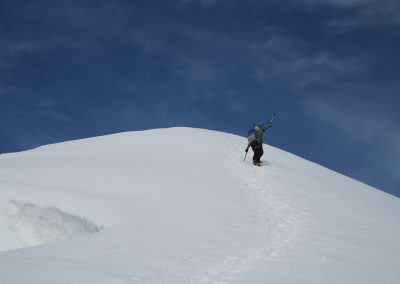 Can also be climbed on skis as part of a ski mountaineering trip in the region. Lots of other ascents in this area, including the twin of Pollux, Castor. 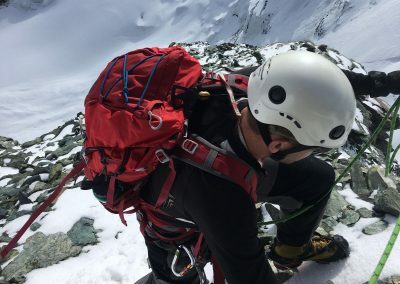 The half traverse of the Briethorn is another good option, all of which can be climbed from Zermatt using the Klien Matterhorn lift, or from the excellent Guide d'Ayas refugio.